Located along the mouth of Miyazu Bar in northern Kyoto sits Amanohashidate one of Japan's three most scenic locations, a place so beautiful its name literally translates to 'bridge in heaven'. This pine covered sandbar and its surrounding area is worth visiting if you find yourself with a free day in the Kyoto area as there is so much to see and do. From stunning natural scenery to historic icons, and even a small amusement park, a day in Amanohashidate is a day well spent. The best way to really soak up the incredible beauty of the Amanohashidate is to get a glimpse of it from high above. 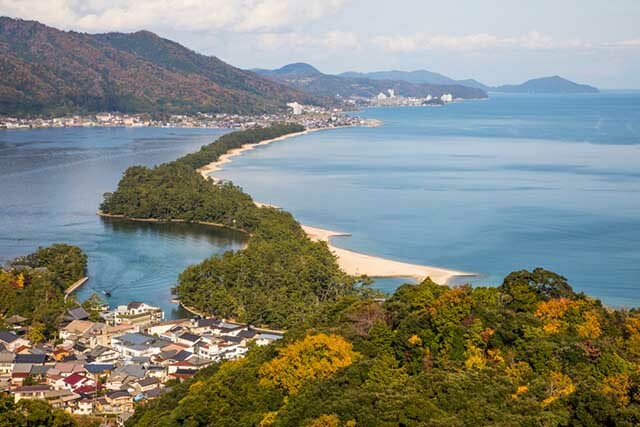 Head straight to the Amanohashidate Viewland located in the nearby mountainside. This small amusement park is home to a number of cute attractions and one of the most impressive panoramic views of the bay below. Viewland is typically open between 9am and 5pm, however times may vary depending on the season and entry is 850 yen for adults, 450 yen for children and free for children under six. Sitting at the northern end of the sandbar is Motoise Kono Shrine one of the most culturally important shines in the northern Kyoto area. It was once home to the Sun Goddess (Amaterasu) and a local deity of clothing, food and housing named Toyoukehime. Both this figures were later enshrined in the Inner and Outer Ise Shrines, which is why that his Kono shrine is referred to as Motoise (which translates to 'origin of Ise'). This stunning pocket of Kyoto is also home to the only waterfall in the area to make the list of the 100 best waterfalls in Japan. Located in the hilly outskirts of Miyazu, Kanabiki its lush and untouched hidden beauty looks like something straight from a Studio Ghibli film. Dotted with a number of walking trails it's the perfect backdrop for a leisurely hike through Kyoto’s less well known area. Though it's stunning all year round, the area truly comes alive in July when the area plays host to the bi-annual fire festival. One of the city's smaller temples, what Chionji Temple lacks in size it makes up for in history. It's home to the Rinzai-shu sect of Buddhism, the most widely practiced form of Buddhism in Japan. 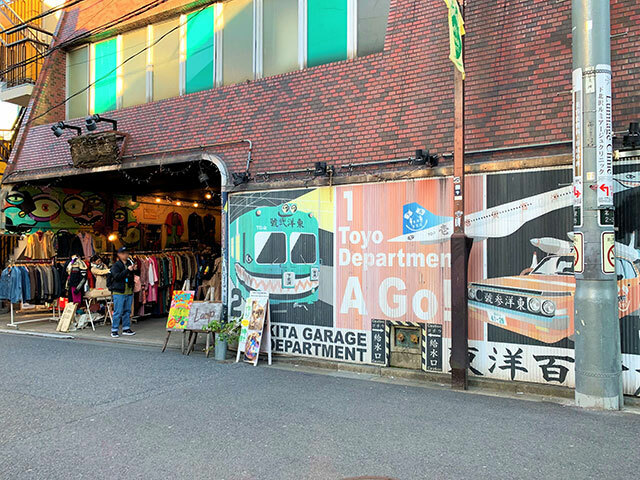 These days the temple is home to one of Kyoto's most famous flea markets. On the 15th of every month around 150 craftspeople make their way to the temple grounds to sell their wares no matter the weather, rain, hail or shine. Each individual market stand is home to something a little different. 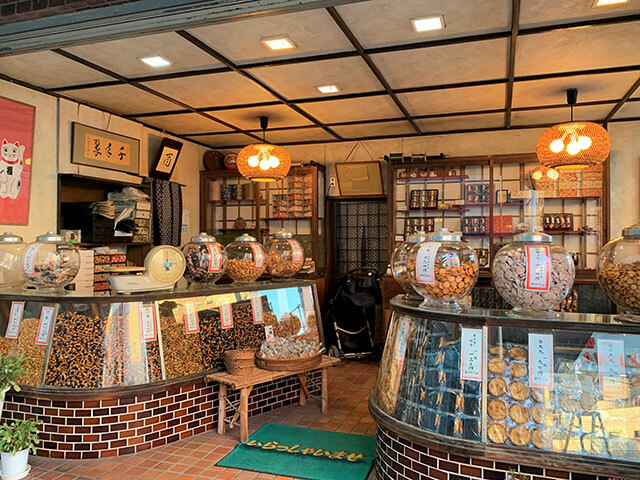 From classic Japanese souvenirs to more contemporary accessories and even food, there's a little something for everyone. So you've seen the stunning Amanohashidate from up high, but to explore the area from a whole new perspective there's no better way than getting on an Amanohashidate boat tour. Traveling along north to south along the sandbar, the trip takes around 12 minutes and costs 530 yen each way. While on board guests are greeted by friendly local seagulls which you can feed.